Seven Woods Bagot projects – three future projects and four completed buildings – are finalists in this year’s World Architecture Festival (WAF) Awards – the world’s largest, live architectural award program – and its sister program, the INSIDE World Festival of Interiors. The London studio of Woods Bagot, an international design practice, has made two senior appointments as their expansion continues, appointing Chris Crombie as the new Transport Leader for Europe and Debby Ray as Associate Principal to build on recent wins in all sectors. With 15 years of global experience, Chris’s career has focused on winning, developing and delivering world-class transportation projects for both aviation and rail, including: Heathrow Terminal 2B and the world’s largest single terminal at the New Istanbul Airport. In addition, Chris also played a pivotal role on the multi-award winning Pulkovo Airport Terminal 1 project in St Petersburg, which included not only the design and construction of a new 17m pax international facility with landside car parking, but also an international hotel and provision for a new heavy rail connection to the city centre. Chris’s extensive rail experience includes leading roles on numerous high-profile projects such as Crossrail and High Speed 2, where he led the design for the New London Terminus at Euston. He has worked internationally on the development proposals for new stations in Delhi and Mumbai in India and metro systems in Australia. Chris will lead Woods Bagot’s European transport sector. Debby’s flair for design is matched only by her passion for sustainability. She is registered in both the UK and the US, and joins Woods Bagot’s London team with 25 years of experience leading high-profile and award-winning projects both locally and internationally. Having honed her skills with Alsop, AHMM and Perkins & Will across the education, residential, commercial and masterplanning sectors, some of her notable successes include 150 Holborn, Wood Wharf, Manchester’s New Islington and the Stirling Prizenominated Westminster Academy. Debby’s projects have won RIBA, AIA, Civic Trust and WAF awards. Throughout her professional career she has remained actively involved with universities and has been a guest critic at the Bartlett School of Architecture and the University of Westminster. Principal Jonathan Clarke and Associate Principal Simon Saint from Woods Bagot’s London residential team have completed a two-week tour of Australia sharing their knowledge of the build-to-rent (BTR) market in the UK. Earmarked as the next global location to adopt the rental model with an estimated $300 billion investment forecasted, the London team visited two of Australia’s largest cities, Melbourne and Sydney to educate key players in the Australian property market and decision makers. Key to Woods Bagot’s success in the BTR market in the UK is their commitment to people focused design and this was a key message during their time in Australia. A relatively new phenomenon in the UK, Build to Rent is creating 95,918 new homes and has changed the landscape for urban cities, supporting a global shift in people’s views on home ownership. Jonathan comments on the change in approach for citymakers and developers: “This is a new model for city living which demands a new approach to marketing, funding and management; BTR operators need to think of their portfolio as a brand and something that people will want to come and be a part of”. In addition to end user based design, Jonathan and Simon argued that amenities are integral to the success of BTR schemes. Jonathan comments on the importance of flexibility; “It is essential for end users and the durability of BTR that these homes provide personality and flexible amenities that contribute to the community. Developers need to create flexible space which can be modified with the emergence of new trends and they need to understand their tenants’ mindsets to keep them from jumping ship to another scheme”. Simon argued that this end user focus needs to stretch to every generation; “Build to rent schemes shouldn’t just be for the younger communities. In the UK, retirement living has also seen a big change in mindset and the housing market is needing to adapt to this quickly. Retirees no longer want to be miles away from a city and in their own little bubble, they want to enjoy being part of a community and live the same lifestyle they have been accustomed to. Creating communities that can interact with one another is also key to Build to Rent schemes”. In addition to meeting with State Government agencies, Jonathan and Simon met with Western Australia’s Minister for Housing, the Honourable Peter Tinley AM MLA, the Department of Planning, Lands and Heritage and the Metropolitan Redevelopment Authority, as well as speaking at the build-to-rent Property Council of Australia Business Lunch in Sydney. Woods Bagot London designed projects for both Quintain and Essential Living and conducted extensive research into the rental model. For further information, visit the following link – https://www.woodsbagot.com/news/build-to-rent-a-focus-on-operational-efficiency-and-value-to-customers. Woods Bagot is further strengthening its Workplace Interiors team in London by relocating Senior Associate Colin Devereaux, to the London studio. Colin originally joined Woods Bagot in 2008, and has previously worked in the practice’s Sydney and San Francisco offices. Colin has 20 years of Workplace Interiors experience, working on some of Google’s international headquarters, including Moffett Place in California and offices in Sydney, Hong Kong, Shanghai and Singapore. His understanding of the UK property market comes from his involvement in some of the city’s most notable workplace schemes, including Cisco’s City of London office and Allen and Overy Headquarters. Colin’s career at Woods Bagot started at the London studio, before moving to Sydney in 2009 and San Francisco in 2015. This global experience has enabled Colin to work on a wide range of projects, from boutique to large scale headquarter fit-outs along with multi-residential schemes, in the US, UK and Australia. In addition, Colin has been instrumental in leading environmentally-friendly schemes, delivering one of the first LEED v4 ID+C:CI certified projects outside of the US for Google Australia in Sydney. Global architecture and consulting firm Woods Bagot has ranked in the top 10 global practices for the third consecutive year, according to Building Design magazine’s 2017 World Architecture Top 100 list, an annual survey of the world’s largest companies ranked by the number of fee-earning architects employed. This year, Woods Bagot ranked overall #7 – down one place from #6 last year. The practice is once again the only Australian firm in top 10. The global studio was honoured to be listed as one of the world’s ‘Most Admired Architects’, ranking equal seventh with Kohn Pederson Fox, Nikken Sekkei, UN Studio and Zaha Hadid Architects. Foster + Partners topped this list for the 11th consecutive year. Woods Bagot ranked #2 (by fee income) in the Australasia region. Breaking down market sectors and specialisms, Woods Bagot claimed #7 In Offices, #7 in Residential, #8 in Retail, #9 in Interior Design and equal #7 in Planning. Woods Bagot’s Chief Executive Officer Nik Karalis said the 2017 WA100 rankings reflected the company’s year of consolidation and expansion, with recent teams being added in Kuala Lumpur, Singapore and Auckland. “This year, Woods Bagot has maintained a vigorous global presence in 17 studios worldwide,” Karalis said. “Delivering results in the transformation of cities means having a presence in these cities of opportunities and responding to the changing needs of the business,” he said. “We foresee the convergence of physical and digital communities creating limitless user experiences that reflect the ways people want to live, work and play. 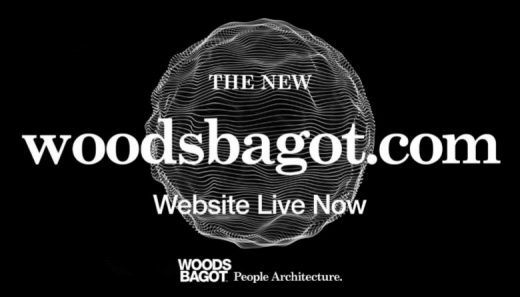 In early December of 2016, Woods Bagot relaunched its website with a broader social and ecological purpose of bringing clients engaging enterprises which includes UrbanSystems—The Way We Live; SuperSpace—Analysing The Way We Live; and BrandStudio—Narrating The Way We Live. There is a strong focus on editorialised visual content tailored to maximise visitors’ online experience in this digital era. Woods Bagot Global Development Officer Mark Mitcheson-Low reported Woods Bagot’s opportunities continued to be strong in Australasia, North America and Europe. Woods Bagot’s most significant projects in 2016 include: Christchurch Convention Centre, New Zealand; Adelaide Convention Centre, Australia; 1 William Street, Australia; University of Sydney Business School, Australia; Wynyard Walk, Australia; Chongqing Tower, China, Jay Street residences, North America, One Journal Square, North America; 108 Chambers Street, North America; Sunshine Insurance HQ, China; Farpoint Mega Kuningan, Indonesia; Telkom Tower, Indonesia; Collins Arch, Australia; Leicester Square Hotel, England; Virgin Domestic Terminal 1, Perth Airport, Australia; New Quality Quay Central, Australia; and Ten Trinity Square, England. 3) BrandStudio—Narrating The Way We Live. “The culmination of their development over the past six months is now revealed in a new format—a website that presents projects in a more conversational and personal manner,” said Nik Karalis, Chief Executive Officer. The new website deploys both computational and emotional strategies to create experiences that provide value and relevancy to Woods Bagot clients in this digital era. There is a strong focus on editorialised visual content tailored to maximise visitors’ online experience. The centrepiece of thought leadership and the execution of People Architecture is Sector Futures with an endless permutation of projects created by the confluence of collaboration between Woods Bagot partners, thought leaders and disciplines. “We’re offering our clients an engaging insight into thought leadership beyond an image repertoire,” said Karalis. With more than 1,000 experts across the globe, Woods Bagot redefines the notion of a global community across both physical and digital channels, relying on cross collaboration and collective intelligence to deliver excellence. Designed with the concept of storytelling, the website uses different formats to communicate the narratives. The aim is to provide an ultimate user-friendly experience with the website’s much improved navigation and functionality. Miller has been engaged in the development of the new website from start to finish, working with key stakeholders and leaders across the company to articulate the vision from a graphical perspective. The new website aims to bring clients’ brands to life through architectural expression and digital storytelling. It allows clients to stay informed with recent news about projects and people. The “News” section features events coverage, speaking engagements, stories on groundbreaking project wins and best practices. Korea, 17 October 2013 – Woods Bagot today announced that for the fifth time the firm has been recognised as a winner at the World Knowledge Forum in Seoul, Korea, as a 2013 Asian Most Admired Knowledge Enterprise (MAKE). The global design firm has been has recognized for management of its enterprise-wide collaborative knowledge sharing and is the only architecture firm acknowledged in the awards. “A decade ago we realised that to remain competitive we needed to accelerate the delivery of design intelligence on projects by tapping into the collective knowledge of our projects and our people,” said Ross Donaldson, Group Managing Director. 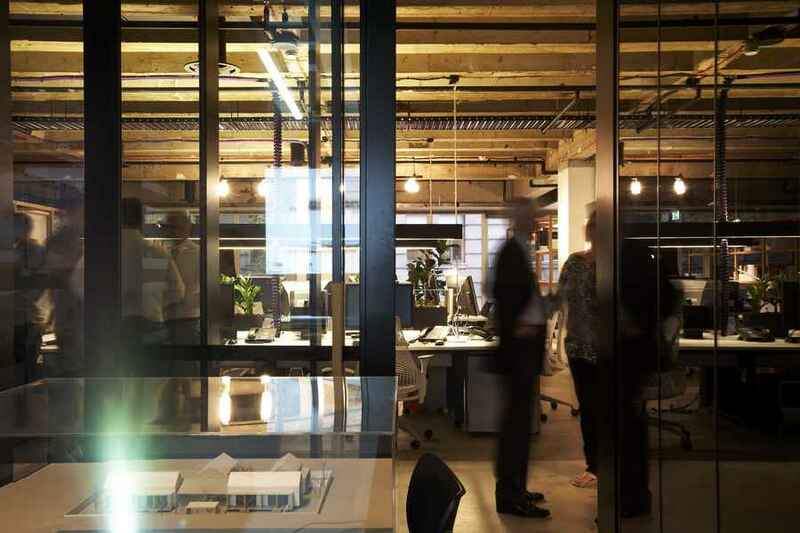 Embarking on a research journey over eight years ago, Woods Bagot implemented an aligned knowledge strategy that focused on mobilising knowledge beyond regions, growing knowledge capabilities and driving a knowledge innovation culture. “How we manage our knowledge globally and then apply that intelligence to projects is what differentiates Woods Bagot from our peers,” continued Ross. “Our vision is ‘one global studio’ which is about building a culture of knowledge across the whole firm. To our clients this means that we collaborate locally and globally to deliver incomparable design. To knowledge, it means we have no boundaries to capturing, sharing and applying our experiences, ideas and intelligence. Our design methodology and how we operate as a business is built on this philosophy and it is humbling to see we have again been acknowledged as a Most Admired Knowledge Enterprise,” said Ross. Building Woods Bagot’s knowledge framework has been a dynamic process for the firm. “Our knowledge strategy maintains an ‘edge of chaos’ equilibrium to remain responsive to new knowledge, communications and technology approaches,” said Felicity McNish, Global Knowledge Manager. The firm’s commitment to knowledge extends to a research driven design methodology; using a tailored design portal for each project to harness knowledge and connect across borders; creating a global intranet community; investing in industry based knowledge forums; and communicating pertinent thought leadership to clients and peers. Recent outcomes of Woods Bagot’s research and knowledge approach include design of the new $200 million South Australian Health and Medical Research Institute (SAHMRI); China Southern Airport City, Guangzhou; Telkom Landmark Tower, Jakarta; National Australia Bank Docklands, Melbourne, Australia; and the ZERO-E modelling tool for zero emission buildings developed jointly with Buro Happold. Woods Bagot is a global design and consulting firm, with a team of over 850 people working across Australia, Asia, the Middle East, Europe and North America. The firm’s unique ‘One Global Studio’ philosophy drives unprecedented knowledge sharing and true collaboration across time zones, producing innovative, inspired and functional design solutions. Underpinning Woods Bagot’s knowledge culture is Public, the firm’s research arm, created in collaboration with leading thinkers and academics. Specialising in five key sectors – Aviation and Transport; Education, Science and Health; Lifestyle; Sport; and Workplace – Woods Bagot’s diverse portfolio spans more than 140 years, a legacy of design excellence. The firm’s high-profile projects include: Shijiazhuang International Exhibition and Convention Centre, China; 100 Bishopsgate [London], Qatar Science and Technology Park, Melbourne Convention and Exhibition Centre [in joint venture with NHArchitecture], Ivy, Sydney [in collaboration with Merivale, Cornwell Design, Hecker Guthrie], Sunshine Insurance Group HQ [Beijing], Delhi One [Noida, India] and WAF 2013 shortlisted project Knox Innovation Opportunity and Sustainability Centre [KIOSC, Australia]. Woods Bagot announce the launch of a Singapore studio. The studio, a joint venture between Woods Bagot and award-winning local practice Forum Architects, means that Woods Bagot now has an on-the-ground presence in 17 cities globally and in all the crucial regional business hubs – London, New York, Sydney, Dubai, Hong Kong and now, Singapore. London — Woods Bagot announced that leading transport and infrastructure architect Tim Narey, has joined the firm’s London Studio. Tim will lead a new Transport and Infrastructure Group for Europe and the Middle East, working closely with the Global Head of Aviation and Transport, James Berry. Tim joins Woods Bagot from Aedas where he was a Divisional Director and led a variety of major transportation projects across Europe, Asia and North America. His most notable career projects include the Emirates Air-Line and the Eden Project as well as the new Highway407 Station in Toronto which is under construction. The global transport team at Woods Bagot is currently involved in projects in Hong Kong, Los Angeles, New York, and recently won the design competition for the first stage of the AUD$1billion “Project Switch” at Sydney airport which includes a new international terminal at the T2 / T3 campus. Other projects include the AUD$2 billion expansion of Perth Airport in Australia and the new international terminal for the capital of Azerbaijan in Baku. Global architects Woods Bagot today announced the appointment of Jonathan French as Regional Executive Chair for Europe. A Chartered Architect and MBA, French has over 25 years’ international experience across a number of highly respected practices, including David Chipperfield Architects, Ove Arup and EC Harris. Jonathan has worked for a range of blue-chip clients, including Pfizer, GlaxoSmithKline and IBM and has built practices in the UK and internationally. Recently he was Managing Director of David Chipperfield Architects, where he was responsible for all management, HR and commercial issues, the successful leadership of which resulted in the achievement of tangibly improved revenues and profitability over a four-year tenure. Woods Bagot has three projects shortlisted in this year’s Australian Interior Design Awards. The Awards, co-presented by the Design Institute of Australia, DesignEX and Artichoke magazine, will be announced on 31 May 2013 in a ten-year anniversary event at Melbourne’s historic Plaza Ballroom. Woods Bagot’s Sydney studio and their design of Mirvac’s workplace in Melbourne were shortlisted in the Workplace category, while their design for Pony restaurant in Brisbane was shortlisted as part of the Hospitality category. Woods Bagot’s global studio is a 24/7 agile team. Designed to be warm and liveable, Woods Bagot’s Sydney studio embodies a continual commentary on design, agile teams, model making and material research, resulting in a dynamic workplace for architectural research. Mirvac is well known for high end residential developments, so when Woods Bagot set about designing their new workplace it was natural to look at high end domestic interiors for inspiration. Through conducting a series of workshops to extract the new vision workspace, a series of recommendations were created. Brisbane’s new Pony restaurant is about indulging the senses and the theatrical staging of food preparation for the charcoal grill. The design narrative is built around the ‘farrier’ or blacksmithing, incorporating raw materials and featuring a two-metre steel ribbon winds that through the space, implying metal that can forged. PUC (Planet Under Construction), a light installation by a team from Woods Bagot’s Sydney studio, has been selected as part of this year’s Vivid Sydney: the Southern Hemisphere’s largest annual festival of light, music and ideas with an estimated half a million attendees. Made of orange construction cones to symbolise our architectural work, Planet Under Construction – or PUC – is a spherical lighting sculpture that mimics a planet. This celestial body features orange peaks as “volcanoes” that speak of energy and renewal. Lights at its core will escape through cracks and holes in the structure, reacting to the sound of the passing train, and lighting patterns will be triggered by sensors around its base, creating a public interactive element. PUC is situated near the corner of George and Alfred Street under the Cahill Expressway in Circular Quay, making it an important marker near the point of entrance to the event for visitors coming from the train station and the city. As Global Director of Woods Bagot Sport, Dan will expand his Los Angeles-based team to include design and technical experts in New York, London and Sydney. The new group will continue Meis’s current projects including the new NFL Stadium at Grand Crossing in Los Angeles and a 50,000-seat, multi-use venue for the University of Nevada Las Vegas. Dan also is leading conceptual design efforts for a new stadium for soccer club AS Roma in Rome, Italy, and Sports City Stadium in Doha, Qatar, for the 2022 FIFA World Cup (in association with Aedas). Meis has designed sports and entertainment facilities for 25 years and is well recognized as an industry leader. He has twice made the Sports Business Journal “40 under 40” list of top sports industry executives, and in 2001, Time magazine named him among its “100 Innovators in the World of Sports.” His work also has been recognized for enhancing business success through design, a goal of ever increasing importance in the sports sector. Previously, Meis was a co-founding partner of NBBJ Sports and Entertainment and a senior principal with Populous. In 2006, he was elected to the American Institute of Architects, College of Fellows, recognizing his contribution to advancing the practice of sports architecture. Acclaimed architect and industry expert Rodger Dalling will transition from Woods Bagot’s Melbourne to Shanghai studio as the global architectural firm gears towards their next generation global studio. Known for his commercial intelligence, Rodger brings an exceptional balance of design and business intuition to every project. Prior to transitioning to Shanghai, Rodger led the Australian region touting strong growth periods and increased market share. In a move to share and inject global design intelligence into the local region, Rodger is set to bolster and diversify Woods Bagot’s already existing strong presence in the market. “In conjunction with leading the local studio, I will also play a key role in the delivery of a major project win – the Luijazui Masterplan, a proposed development situated in the prestigious Pudong area,” said Rodger Dalling, Director, Woods Bagot. Consisting of seven luxury residential apartment towers, the proposed development boasts high-end amenities such as exclusive club facilities with spa, sauna, and steam rooms, an indoor pool, set alongside a lush garden environment featuring an 1000 meter jogging track. The interior of the project befits its luxurious exterior with the apartments ranging from a five bedroom penthouse and sub penthouse suites to a typical three bedroom apartment featuring a Butler’s kitchen, wine cellar, world’s best media systems, elite fittings and finishes. “Rapid economic development across Shanghai and the greater China region have resulted in the development of an exploding real estate market – met by consumer demand. The expansion in the Asia Pacific region is a major growth area for Woods Bagot and the recent project win is a testament to this, as well as an indication that further growth is to come,” continued Rodger. Adding to the recent list of Asia project wins amidst fierce competition from some of the world’s most admirable design houses such as Zaha Hadid and Airport de Pari with Paul Andreu Woods Bagot has won the international competition to design China Southern Airport City, a 400 hectare mixed-use development set on the Liuxi River, in Guangzhou, China. A fine balance between global intelligence and local knowledge, the wins exemplify Woods Bagot’s one global studio model – bringing together the best talent from across the world. “Our Melbourne studio will be instrumental in the design delivery of the Shanghai residential project injecting global nous from acclaimed Victorian projects such as the award winning Garden House and The Sunday Apartments,” said Rodger. Principal Kate Frear will steer the direction of the Melbourne studio following Rodger’s departure. Kate will inject a fresh approach into the studio driving the next generation global studio. With considerable design experience in diverse areas of architecture, Kate and Simon have focused their expertise in the lifestyle sector, and thrive on working with clients to maximize project potential to achieve successful design outcomes. Woods Bagot collaborate with Destination NSW for largest light and music festival in the Southern Hemisphere. A true fusion of design excellence and technology, Cloudscape designed by two of Sydney’s up and coming architects Nicolas Thioulouse and Kim Nguyen Ngoc of Woods Bagot, will join a multitude of light installations and large scale projections for Vivid Sydney; lighting up the Sydney Harbour foreshore like never before. Developed by Destination NSW on behalf of the NSW Government, Vivid Sydney will feature a free light show with over 50 interactive and immersive light art sculptures, illuminated skyscrapers and large scale projections around The Rocks, Circular Quay and Sydney Opera House. In 2011 Vivid Sydney attracted more than 400, 000 tourists and Sydneysiders with 500, 000 anticipated to attend this year. Cloudscape is a large silver cloud that hovers above; during the day, it reflects the weather and moves with the wind, and at night people play beneath its canopy creating a new sky. People act as ‘clouds’ casting shadows and reflecting their image over the surface of hundreds of silver balloons. Composed of different sized inflatable Mylar balloons, the installation is a solid grid structure encased by a highly-interactive lighting system. 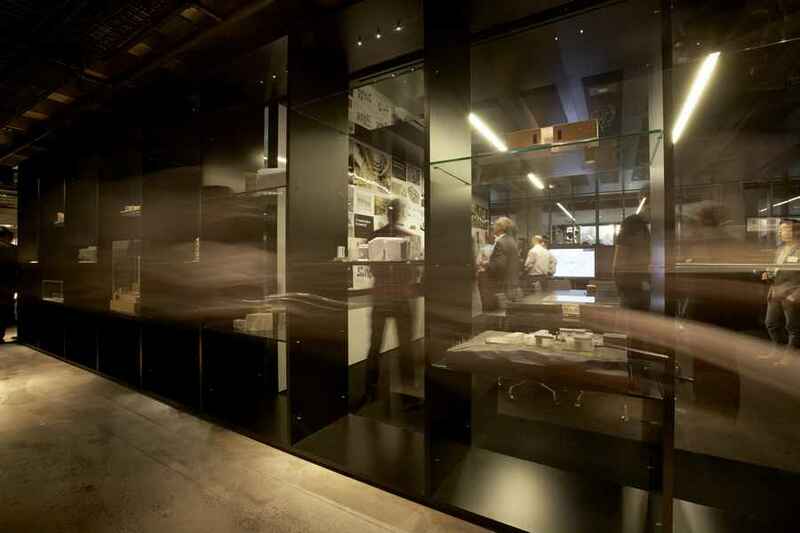 Up and coming designer heads north, following success in Woods Bagot’s Melbourne studio. Woods Bagot’s Senior Associate Wade Little, has transitioned to the Sydney Studio, as the local region. Here in Sydney Wade will lead the Lifestyle sector, bringing his years of knowledge and expertise to the Sydney Studio. “Being part of one global studio makes moves like this one seamless, it means that there is no transition process, as a team we have already all worked together,” said Senior Associate Wade Little. Wade is no stranger to the Sydney market having already been a part of large scale projects such as The Ivy and more recently the $250 million redevelopment of the Randwick Racecourse. “A high track record in the design and delivery of high-end residential, hotel and hospitality projects in Melbourne, Wade was instrumental in the realisation of the acclaimed Garden House, Sunday Apartments and boutique eateries Wallis + Ed and The Kitchen Cat. “I’m very much looking forward to the challenge of working amongst a different landscape, and contributing to the development of residential and hotel design in a market looking for evolution and renewal,” said Wade. A high level of commitment to the design quality of all his projects, Wade’s strong attention to detail has enabled Wade to become a highly respected designer by both his peers and his clients. “The Sydney Studio is going from strength to strength and having someone of Wade’s calibre coming to join us here is a further sign of growth and studio expertise,” said Woods Bagot Principal, Sarah Kay. The Sydney Studio recently re-located to its next generation global studio, in the heart of Sydney’s CBD precinct. Principal Thomas Masullo, at Woods Bagot’s Adelaide studio will form part of the judging panel for the 2012 Australian Institute of Architects (AIA), South Australian chapter awards. “I am honoured to be part of this years’ jury panel, and look forward to seeing the array of work that will be presented this Saturday. “It’s a fantastic opportunity to really raise the profile and demystify the architectural profession and the value design brings to our communities” says Thomas. Held annually, the AIA awards are held in high regards amongst industry and is an opportunity to promote architects and architecture in Australian and internationally. Thomas will be joined with state architect Ben Hewitt this Saturday to judge the Public Architecture category. This year the jury will be opening the doors to the public to hear the jury presentations. “Design is a pivotal force in driving and activating change across businesses throughout the globe. I look forward to seeing the calibre of entries and the design intelligence injected into each project,” continued Thomas. Woods Bagot has two entries in this years’ AIA South Australian chapter awards, including: Oxigen and National Australian Bank, Adelaide. Woods Bagot’s Adelaide studio is currently leading the design of the world class South Australian Health and Medical Research Institute and has also been instrumental in the realisation of the Adelaide Convention Centre Redevelopment in collaboration with Vx3. 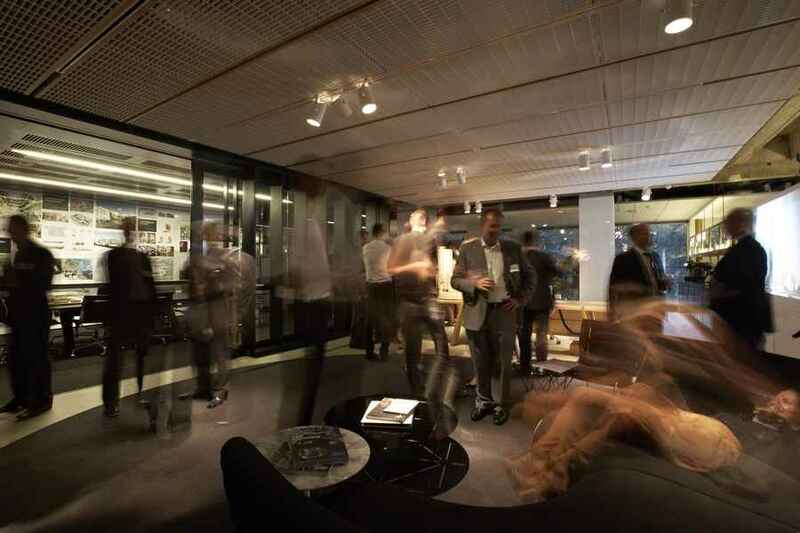 Global studio Woods Bagot launched their next generation studio in Sydney, amongst colleagues and industry peers, last night. Conceived in-house, Domenic Alvaro was charged with realising the design vision, supported by Sydney Principals Georgia Singleton, Sarah Kay and Robert Cahill. “The design for the Sydney studio embodies and reflects our next generation global studio philosophy – not a single mind, not a single studio, but a collective intellect and authorship. Our studio and our people will be the engine that drives our motivation to go beyond the normal, and create a new level of architectural engagement,” said Domenic Alvaro, Principal, Woods Bagot. A dynamic design house located in Sydney’s central business district, the One Global Studio model was at the forefront of the design philosophy. “Enabling collaboration and collective knowledge to come alive and create a portfolio of work that is diverse yet consistent in its depth of investigation and interrogation drove the design. “Project immersion, exposure and transparency, as well as harnessing a human environment that aimed to improve the quality of life for all who work and visited the studio both physically and virtually, was core to the design vision,” continued Domenic. Upon entry, visitors are instantly immersed into the ‘life of the studio,’ playing witness to a continual commentary on design through the visibility of a series of varied spaces such as work zones, project spaces, meeting rooms and social spaces. Project engagement is also paramount, with the environment immersed in new technology to enable designers and clients engage both in the design process and the materiality of our work. “Fundamental to how we work, is how we connect and interact – as one global studio. Our designs are the accumulation and reference to the knowledge application residing within our studio, and across the globe. Unlike any other architecture firm we have the 24/7 support of an agile team who embrace the rigour of being global,” said Domenic. A recent example of Woods Bagot’s unified One Global Studio approach in action can be seen in the recent work with Shijiazhuang International Exhibition and Convention Centre – a significant new landmark cultural and mixed use project in north China. Collaboration from a series of studios, including Sydney was key to achieving the design solution, detailed design and documentation. On the ground, Woods Bagot’s Sydney Studio continues to showcase exceptional work to the local market and has been instrumental in the delivery and realisation of high profile projects such as the Ivy, the Sydney University Business School, Nan Tien University, the GPT’ Groups and Westfield’s new headquarters, Macquarie Group’s Upper Shelley Street, Nepean Hospital, and the Randwick Racecourse Redevelopment. Earlier this year, global studio Woods Bagot was ranked 14th in Building Design’s (BD) annual World Architecture 100 list for 2012; the only Australian-born practice acknowledged in the top fifteen percentile. Woods Bagot Principal, Rosina Di Maria will join the esteemed Australian Interior Design Awards (AIDA), judging panel for 2012. A recognized industry leader in design, Rosina has worked as creative director across Lifestyle and Workplace projects in Europe, the Middle East and Australia. “I was incredibly honoured to be invited to form part of this years’ judging panel. As an industry, it’s wonderful to come together to recognise and celebrate interior design excellence,” said Rosina. Integral on the design team for both the Hilton Hotel Adelaide upgrade works and interiors of the $350m Adelaide Convention Centre Redevelopment, and having led significant global projects, such as the recently opened Eccleston boutique hotel in central London, and the global headquarters for HSBC at Canary Wharf, Rosina balances her role as creative designer and client manager, with acute business acumen. “Design is a pivotal force in driving and activating change across businesses throughout the globe. I look forward to seeing the calibre of entries and the design intelligence injected into each project,” continued Rosina. Woods Bagot has a series of entries from across Australia, including: Waterfront Place, Brisbane; Oxigen, Adelaide; The Garden House, Fitzroy North House, Wallis & Ed and LK Jewellery, Melbourne. It is to be noted that Rosina will not be charged with judging any Woods Bagot projects. The prestigious annual awards program recognise and celebrate interior design excellence via a credible, industry-based program, backed by professional body, the Design Institute of Australia, in partnership with designEX and ARTICHOKE magazine. Leading architectural firm Woods Bagot today launched The Business School – Issues for a New Future; a commentary on the current issues facing business schools in the 21st century and beyond. Mark Kelly, Global Director, Education, Health and Science, Woods Bagot, said: “The higher education industry is facing a web of challenges such as a decline in government funding, weakening student in-takes, ageing infrastructure, and increased institutional competitiveness; combined with the challenges of a new generation of students and the ever-evolving landscape of technology. Consisting of a series of nine individual papers, Issues for a New Future explores strategies to enable the industry to harness and develop the talents of the next generation of business leaders. Undeniably, the papers draw a strong correlation between the typologies of space and the success of an institution in meeting its objectives as a global leader in business education. “Business schools are in a unique position to steer business strategy and engage tomorrow’s leaders. Innovative design is paramount to the success of an institution in converting the current opportunities and creating not only a distinctive brand proposition, but also a lasting contribution to learning, teaching and business practices of the future,” continued Mark. Furthermore, there is a strong call for institutions to take stock of the innovations occurring in today’s workplace environments, which are undergoing significant change. “Integration, collaboration and cross-silo fertilisation are critical to the success of business schools; looking towards the professional sector is the best starting point for inspiration and guidance for future typologies of our higher education institutions,” notes Mark. This approach also speaks to the notion of aligning higher education spaces to the expectations of a professional environment and employee needs. “Technology and generational change has seen a significant shift in the way people live, work and learn. The business school of the future must adapt as the workplace is doing in order to meet the basic needs of the current and future generation. ,” said Mark. In 2011, Woods Bagot’s Deakin University Building I project was shortlisted at the prestigious World Architecture Festival Awards, in conjunction with being awarded with the American Architecture Award for 1 Shelley Street – arguably one of the most advanced workplaces of its time. These projects exemplify how institutions and workplaces are responding to the issues explored in this publication and encourage further discussion on how design can respond to complex contexts. Associate at Woods Bagot, Valerie Mack has been named as Director, on the Design Institute of Australia’s (DIA) national board. “I’m honoured to have been invited to sit on the national board, and I look forward to working with the DIA to support the role that design plays in enhancing business and people’s lives,” said Valerie Mack, Associate, Woods Bagot. A strong history with the DIA, Valerie is also part of the Victorian State Chapter where her focus is on commercial interiors. In 2012 the national board’s focus will be wide-ranging looking at: education; continuing professional development; design awards; and Australian and International Design Alliances, to name a few. “Promoting collaboration between the design industry and educators is a continuing focus of the board, as is ensuring that on a national level Australia is seeking strategic partnerships with peak design bodies across a range of disciplines, across the globe. In essence the mission of the DIA is to promote and assist effective excellence, and harness a co-operative spirit of the Australian design professions to enhance our relevance to government, business and society,” continued Valerie. An interior designer with over 17 years’ experience, Valerie resides in Woods Bagot’s Melbourne Studio where she has worked on numerous projects across both the public and private sector, including the Victorian Department of Treasury and Finance, Workplace for the future prototype space and Melbourne Water, Strategic Accommodation plan and property brief for the new 12,000m² headquarters. At the 2011 World Architecture Festival (WAF) in Barcelona next week, Woods Bagot will form part of the 2011 jury panel, combined with three projects named on a series of shortlists. 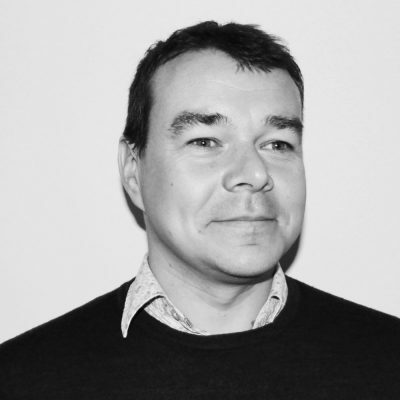 Ross Donaldson, Joint Group Managing Director (JGMD) at Woods Bagot will join the judging panel under the ‘Completed Office’ jury, alongside some of the most distinguished professionals in the world. “I’m incredibly honoured to be part of the WAF judging panel. The WAF presents an opportunity for industry to share knowledge and celebrate architectural excellence across the globe. Naturally, I won’t be judging any Woods Bagot projects however I look forward to the presentation night,” said Ross Donaldson, JGMD, Woods Bagot. With each project incredibly unique, the three shortlisted include: the South Australian Health and Medical Research Institute; Deakin University Building I; and Small House. Mark Mitcheson-Low, Chairman of the Regional Executive, Australia, at Woods Bagot believes that simply been named on the shortlists is an accomplishment in itself, and recognises the extraordinary design talent coming out of the Australian region. “The design intelligence injected into all three projects are of worldly significance and is a true reflection that we have the ability to provide clients with a level of unparalleled expertise,” said Mark. The award categories for the shortlisted projects include: Future Project – Health; Completed Buildings – Learning; and New Houses, for SAHRMI, Deakin University Building I and Small House, respectively. “The WAF is one of the most admirable industry events and we look forward to engaging and exchanging ideas with peers, as we all commit to enhancing people’s everyday lives through design,” said Ross. Winners of the 2011 WAF Awards will be announced on the 4 November 2011. Woods Bagot has recently named Clive Williams as their new Chairman of the Board as the company sets to harness and grow their next generation global studio. A former Chief Executive of Capgemini UK plc, Clive Williams will draw upon his extensive experience within professional services, and will be critical in guiding the firm’s growth plans as it continues to connect its studios and project work across the globe. Principal Mark Damant at Woods Bagot has been announced as the new Deputy State Director of Awards, for the Australian Institute of Architects (AIA), Queensland Chapter. “I am honoured to be appointed to this role, and look forward to seeing a wide range of work across Queensland for the 2012 awards,” said Mark Damant, Principal, Woods Bagot. The Queensland chapter of the AIA Awards takes a regional approach to the awards process and consists of eight regions, each of which holds its own awards process which, in turn, leads to the annual state awards. The eight Queensland regions include: Brisbane, Central Queensland, Darling Downs, Far North Queensland, Gold Coast / Northern Rivers, North Queensland, Sunshine Coast and Queensland State. “This is an amazing opportunity for me personally. It is also recognition of Woods Bagot’s design intelligence and the Brisbane studio’s ongoing competition success over the last few years as we strengthen our presence across Queensland,” continued Mark. Woods Bagot’s Brisbane Studio is currently leading the design for residential project Brooklyn on Brookes and has recently completed the upgrade for Waterfront Place an iconic commercial tower in Brisbane’s CBD. Mark Damant brings a wealth of knowledge to his projects, having practised for more than 25 years in diverse roles across three continents. His focus is to ensure that the client’s design aspirations are clearly understood and that the final built solution exceeds their expectations. Speaking at the 24th World Architecture Congress in Tokyo, Joint Group Managing Director (JGMD) at Woods Bagot, Ross Donaldson, tables a solution to empower the design industry to defy sustainable ignorance and meet the climate change challenge. “One of the principle reasons there is inertia within the architecture profession around mainstreaming sustainability, is ignorance; not so much about the reality of ‘climate change,’ but around what to do about it, and how to do something about it,” said Ross Donaldson, JGMD, Woods Bagot. Since the release of Al Gore’s An Inconvenient Truth, in 2006, the resurgence of the environmental movement took stead, and the public awareness and drive for addressing climate change spread across the globe. It would be four years later, in which Ross suggests, that although public support to address climate change was very much present, 2010 was a watershed in an attitudinal change with regard to climate change and action. “Whilst not universally acknowledged, there is much evidence to suggest that within that year a groundswell of attitudinal change arose, resulting in a diverse range of government and private enterprise initiatives such as, major economies acknowledging the principles of the Copenhagen accord, and the World Business Council for Sustainable Development committing to zero nett energy for buildings, taking place. Through this time, there was little coming from the supposed best minds in the design profession still immersed in the motions of empty formalist gestures, with little serious scientific rigour in addressing climate change,” continued Ross. Enter ‘Zero Emissions Design’ (ZERO-E). In a response to confront sustainable ignorance, and develop a tool that would look to enable architects to be relatively autonomous, Woods Bagot and Buro Happold devised a new model – a tool, an interactive deign platform that tracks energy and carbon footprints for design solutions. “Together in partnership, Woods Bagot and Buro Happold since 2009, have invested in research and development of a Zero Emissions Design platform with a customised software operational interface, enabling designers to understand the energy impact of their design in real time – as they design. Today, at the 24th World Architecture Congress, as we gather to address the future of our cities, it is time for the design industry to confront sustainable ignorance, and embark on a journey, such as ZERO-E, to reserve and evolve the trend of global climate change,” said Ross. Launched at the 2010 Bloomberg Business Week Global Green Business Summit in Shanghai, ZERO-E was created to deliver on the promise of zero carbon and zero emissions development. The ZERO-E pilot project examines the development potential of an industrial site on the Yangtze River in Chongqing, China. The study schemes proposes a 450,000 square meter mixed use development, featuring an 82-storey office and hotel tower, which will continually monitor and react to internal and external climatic conditions for maximum performance. Clients are set to reap the best of both worlds; international intelligence – local delivery, as Woods Bagot’s key tall tower experts transition to Australia. Internationally renowned architect, Mark Mitcheson-Low has shifted after ten years working throughout the Middle East, and at the recent CTBUH Conference in Chicago, Mark discussed the ‘evolution of the skyscraper,’ and imparted key insights regarding the innovations developed on the breakthrough tower project, the 1 kilometre high Nakheel Tall Tower. “The Design Intelligence developed on the world’s tallest towers such as Nakheel Tall Tower, the Index 326 metre high Tower, and the Tritvam Residential Development are now being brought to Australia by key members of the teams being relocated to the region, to work across Australasia,” said Mark Mitcheson-Low, Regional Executive, Australia. Although already working on tower projects within CBD precincts within the region, Mark sees there are opportunities to broaden this reach by further utilising the knowledge captured on these projects to develop intelligence locally. “I’d like to inject the design intelligence, management and technical aspects learnt from projects such as the Tall Towers, to assist clients with their global initiatives across the Australian region,” said Mark. Principal Carolyn Mclean and Senior Associates Eve Clark and Matthew Gaal at Woods Bagot have also relocated from international posts in Dubai and London. Driving the design of a five by 25 storey residential tower on prime waterfront property in Kochi, Kerala India, Carolyn Mclean, now residing in the Brisbane studio, shares the notion that many projects out of the Middle East region have relevance to the Australian region. “Although the scale of projects needed within the Australian region is significantly different, it is the global design intelligence imparted from Woods Bagot’s portfolio of international projects that will be of great benefit to local ventures,” said Carolyn Mclean, Principal Woods Bagot. Located on a prominent corner within the ‘Dubai International Financial Centre’ Matthew Gaal led the design, (in association with Foster and Partners UK) of the Index Tower; an 80 storey high mixed-use tower, and is all too familiar with the complexity of designing and delivering a tall tower. “The Index is one of a kind. It defies the notion that a sustainability framework can’t be applied to a tall tower building, and applies innovative design solutions to address key environmental principles,” said Matthew Gaal, Senior Associate, Woods Bagot. Awarded the Best Tall Building in the Middle East and Africa by the Council of Tall Buildings and Urban Habitat, the design of the Index Tower takes an interesting approach. “At its base, only its structural fins and cores come all the way to the ground, and the rest of the space releases in an open-air shaded atrium, with large pools creating a cool micro-climate around the tower’s entrances,” continued Matt. Recently returning to the Sydney Studio, Eve Clark is an architect and project manager with over ten years experience where she was recently involved in a landmark commercial office tower for a multi-national developer in the City of London. “Collectively, our tower knowledge and experience has been strategically located in Sydney, Perth, Melbourne and Brisbane to be a-tuned with what’s happening on Australian soil. Simultaneously, when working on a key project we are able to pull intelligence from other studios such as London, New York and San Francisco – bringing our clients the best of both worlds,” continued Mark. Mark’s vision etches towards an increased market share of the Australian region driven by key client relationships and offering global and local design intelligence across Australia. “Education theory around student-centred learning provides a very clear picture of what effective student learning should look like. Hence, in a time when we know more about how students learn than ever before, why does it continue to be acceptable that students sit passively through lectures,” said Jo. Exploring a theme of time, Jo will endeavour to review past and present conceptions of student learning and table some big ideas for a new 21st Century paradigm. “Getting the design right for learning environments for tomorrow is born from not only having an in-depth understanding of teaching and learning theory, but also the net generation,” continued Jo. Research is the principal foundation that underpins Woods Bagot’s design approach and methodology, and has informed recently completed teaching and learning spaces at the University of Technology Sydney and Deakin University Melbourne. “Today there is a new generation of learners setting foot within universities. These students are natural collaborators who enjoy conversation, prize freedom and yearn to have fun, even while at school. To them, speed due to ‘growing up digital’ is part of everyday life,” said Georgia Singleton, Principal, Woods Bagot. With over 600 professionals from across both private and public sectors anticipated to attend, the conference sets out to impart and share knowledge with leading experts. Mark Kelly, Global Sector Leader, Education Science and Health of Woods Bagot, will also be presenting on the design intelligence injected into the new South Australian Health and Medical Research Institute (SAHMRI), the most significant development in health and medical research for South Australia in the 21st Century. TEMC runs from Sunday 14th to Wednesday 17th August 2011. The Tertiary Education Management Conference is organised in partnership by the Association for Tertiary Education Management (ATEM) and the Tertiary Education Facilities Management Association (TEFMA) and attracts around 600 professional managers from higher education and TAFE institutes, Polytechnics, Wananga, government departments, private providers and similar organisations. Assuming the role of Chairman – Regional Executive Australia, international award winning architect Mark Mitcheson-Low transitions to Australia as Woods Bagot enables their next generation global studio. Transitioning after ten years working throughout the Middle East, Mark has witnessed the tidal flows of the globe’s dynamic economy, and is well versed to drive the Australian region into its next frontier. In a strategic move to impart and share global thinking, Mark will reside in the Perth studio due to its unique yet diverse operating environment and predicted growth. Perth’s geographical positioning to its large neighbouring Asian markets, makes it an ideal location for international operations to set up their Asia-Australia hubs,” said Mark Mitcheson-Low, Chairman of the Regional Executive, Australia, Woods Bagot. “Logically, the pipeline of growth will create a need to build infrastructure to accommodate the expansion across industries. With the influx of domestic and international patrons – whether short or long term, there is a flow on affect to other industries, Australia wide,” said Mark. As highlighted in the IBIS World Industry Report, the three main markets in 2011/12 for building design are commercial and industrial buildings such as retail complexes, office buildings and transport terminals, and institutional buildings such as schools and hospitals. This is all good news for Woods Bagot who operate across three sectors – education, healthcare & science, workplace and lifestyle, and have the ability to pull on a global network of expertise to provide clients with a level of unparalleled design intelligence and thought leadership. Mark’s vision etches towards an increased market share of the Australian region, harnessing key project wins and filtering the design intelligence and relationships across Australia. A solid global aviation portfolio, the recent success of the second stage of the Perth Airport is the third airport win for Woods Bagot in just over a year. “The recent win of the second stage of the Perth International Airport again exemplifies the strength of our ability to share global design intelligence and inject it back into local regions. This has also been prevalent in working with the likes of the National Australia Bank and the Hilton Hotel Group as we expand our collaboration and work with them on multiple projects across states,” said Mark. Furthermore, following the completion of the multi-award winning Melbourne Convention and Exhibition Centre (MCEC), Woods Bagot, in association with Vx3 Architects is the design team for the $350 million Adelaide Convention Centre (ACC) expansion project. A strong go-to-market professional, prior to the GFC Mark drove Woods Bagot’s Middle East operations, building the practice from nothing to 350 staff which in turn equated for over 30% of the global revenue, funding the start up of the North America studios in San Francisco and New York. Within his Middle East tenure, Mark procured many of Woods Bagot’s globally significant projects such as the multi award winning Qatar Science and Technology Park (QSTP), the 1.2 kilometre high Nakheel Tall Tower, the 326 metre high Index Index Tower, and the 320 metre high Emirates Twin Towers. “As we know, one of the key drivers to the growth of Australia is the minerals and resources industry with much of the businesses driving to higher technology, research and knowledge to guide and prolong the industry’s longevity and efficiency. “A key initiative of the QSTP project was to establish Qatar as a knowledge economy in the Middle East, and today, QSTP houses a handful of fortune 500 companies such as Chervron, ExxonMobil, Shell, Microsoft, and Virgin Industries who are undertaking cutting-edge research & development projects,” continued Mark. Furthermore, the Design Intelligence developed on the world’s tallest towers is now being brought to Australia by key members of the team being relocated to the region, to work across Australasia. A guest speaker at the CTBUH Conference in Chicago, Mark discussed the ‘evolution of the skyscraper,’ and imparted key insights regarding the innovations developed on the breakthrough tower project, the 1 kilometre high Nakheel Tall Tower. Mark believes there are similar opportunities in Australia to use projects like QSTP and Nakheel Tower- to take and improve on these models to create industry intelligence and develop knowledge locally, rather than relying on overseas input. I’d like to inject the design intelligence, management and technical aspects learnt from projects such as QSTP and its many Tall Towers, to assist clients with their global initiatives across the Asia Pacific,” said Mark. What can we learn from Airport facilities such as self check and registration systems? What innovations can health facility design adopt from commercial building design? What is the potential for multi use / mixed development solutions to be part of a health precinct? Presenting at the annual Health & Design conference in Melbourne this week, John Breguet, Director, Health Consulting, Woods Bagot, posed these questions to over 150 delegates. “Within Australia, and moreover, the globe is facing an increased demand for health services associated with both an ageing population and an amplified enlightenment for self health. A flow on effect of this is that within the health setting we are confronted with a number of challenges, including that of access to basic and high end healthcare facilities, all within a tightening budget framework,” said John Breguet. Embracing a multi-sector approach to health design envisages the delivery of grater basic health care – including routine assessment and treatment delivery, closer to where people live, work and learn. “Services might be delivered from a shopping centre, mixed-use development, or as part of an expanded ‘civic’ amenity,” continues John. Woods Bagot is structured to operate and integrate activities across three sectors – Education, Healthcare & Science, Lifestyle and Workplace and in future, see additional potential for the healthcare industry through the adoption of design solutions and innovations across sectors. Yet how does this actually come to fruition? To facilitate the adoption of cross sector design solutions John suggests there will be a need to make a ‘measured’ investment. “The opportunities presented by the Public Private Partnership model is one way in which cross sector innovation is being transferred,” said John. Recently held in Melbourne from the 2-4 May, 2011, Design & Health Australasia 2011 is an international symposium and exhibition, dedicated to exploring global perspectives on enhancing health, wellbeing and quality of life within the local context of health reform and infrastructure development. Woods Bagot will be presenting at the 7th World Congress for Design & Health in Boston, USA from 6-10 July 2011. Joint Venture Architects Woods Bagot and NHArchitecture’s Melbourne Convention and Exhibition Centre (MCEC) was honoured with the National Award for Public Architecture – one of the country’s most prestigious annual architecture prize. Recognising Australia’s most inspirational new architectural projects and the architects responsible for them, the Australian Institute of Architects applauded Joint Venture Architects Woods Bagot and NHArchitecture’s Convention Centre design for its exceptional contribution to sustainable architecture in addition to re-activating Melbourne’s Southbank larger urban fabric. Receiving the National Award for Public Architecture, the Convention Centre has set a global benchmark in sustainable design as the first large public building of its kind in the world to be awarded a six Star Green Star rating by the Green Building Council of Australia. “Woods Bagot and NHArchitecture are proud to accept such accolades, and it is undeniable the design sensibilities of the building speak for itself. We refused to allow the building to take on the common anonymity of the convention centre”, said Nik Karalis, Woods Bagot Co-Principal Design Architect. “[And…] with so many inputs, the architect is one of the few people on the project that actually has a command of the whole picture. We literally became the centre of a vast network of people and ideas. The whole consortium backed the holistic ambition to become the world’s first six Star Green Star Convention Centre,” said Hamish Lyon, NHArchitecture Co-Principal Design Architect. Beyond the aim to transcend traditional convention centre stereotypes, Woods Bagot and NHArchitecture sought to deliver a building which belonged to the public and cultural life of Melbourne and ensure that it was embedded within the physical and historical context of the site. “The building became a fulcrum to stitch the city grid, the bend in the Yarra River, the existing exhibition building and everything else that surrounded it, so it all fell into place,” said Karalis. The design philosophy was attributed to the idea of the convention centre essentially being about ‘the global connectivity of diverse people’. “There will be clashes of great minds in the building, exchanging ideas and dynamic interacting with the building. It’s actually a new type of building where you don’t look at the static object. This is the new art, and it is a lot more interactive than prescriptive,” stated Karalis. “This new precinct will be open to the usual array of critiques against privately manufactured public infrastructure projects; but, as architects, our obligation is to transcend the politics and endeavour to create long term public benefits. We hope that this will also be a sign of its developing place in the collective consciousness of Melburnians and all Victorians,” said Lyon. International design practice, Woods Bagot provides its clients with innovative design solutions that are both functional and inspiring. This is demonstrated by the successful delivery of a range of high profile projects within the commercial workplace, hospitality, mixed-use, education and science sectors. January 16, 2018 in Architects.